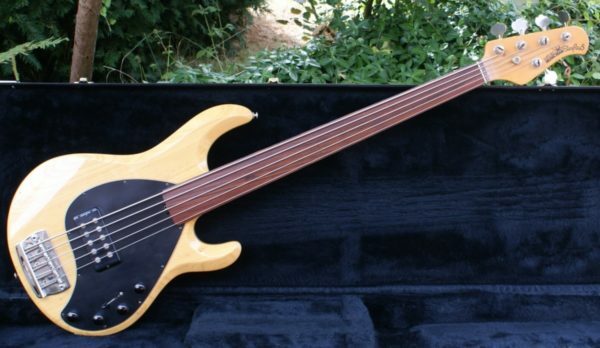 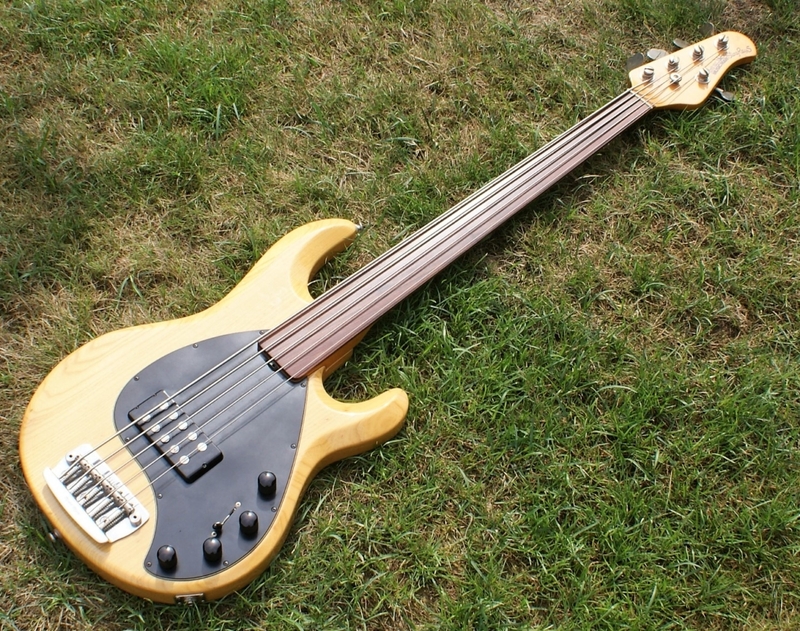 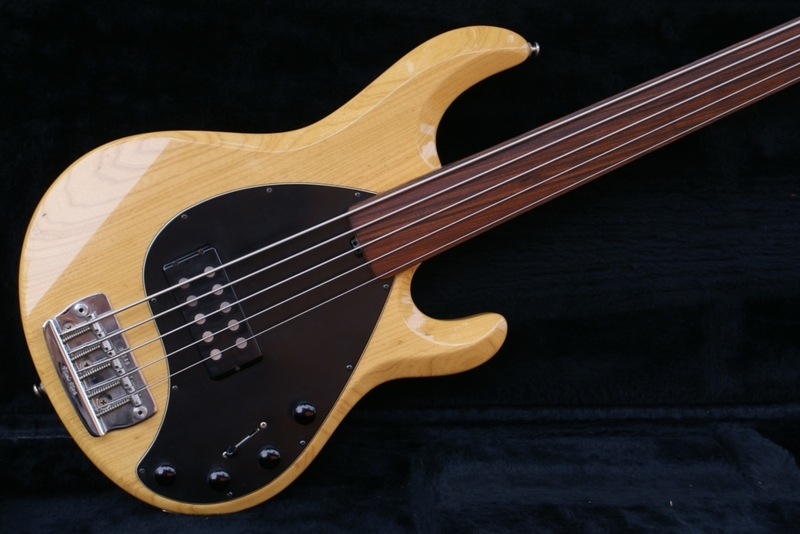 A rare opportunity to get your hands on a beautiful natural Ash 1989 EB MM Stingray 5 Fretless bass & case. 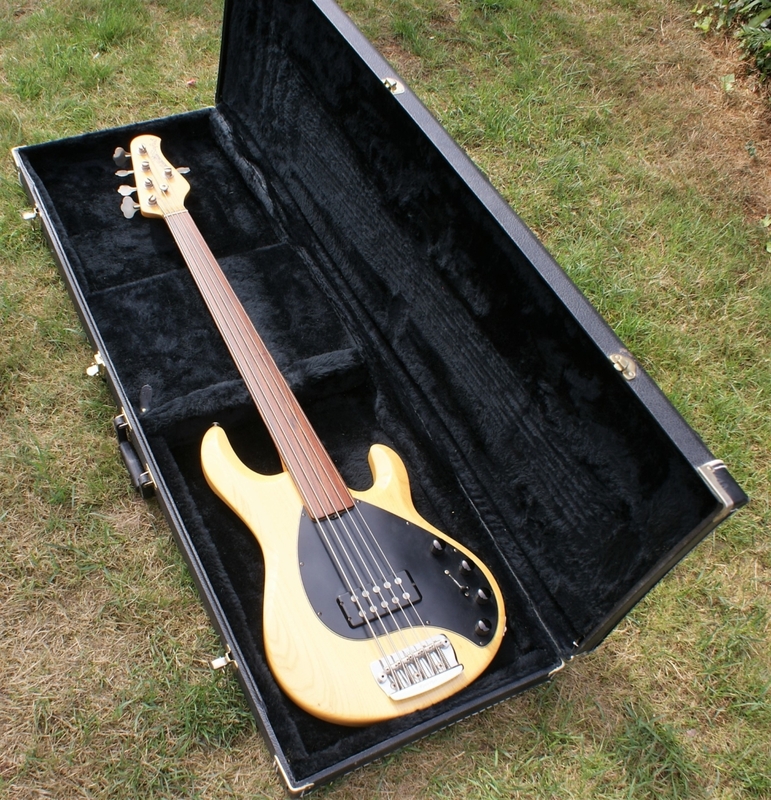 This bass has not had a hard life & hence is in great all round condition, I would say 8/10. 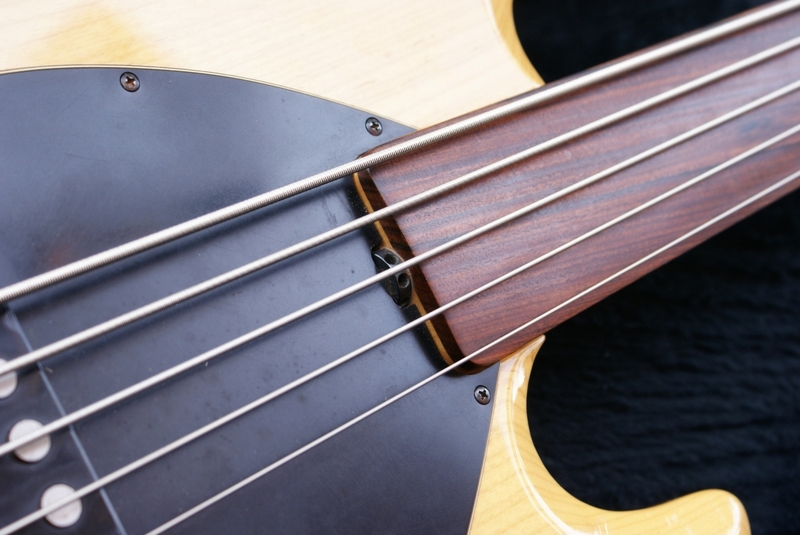 The Pau Ferro fingerboard is stunningly worked & has a beautiful smooth glide. 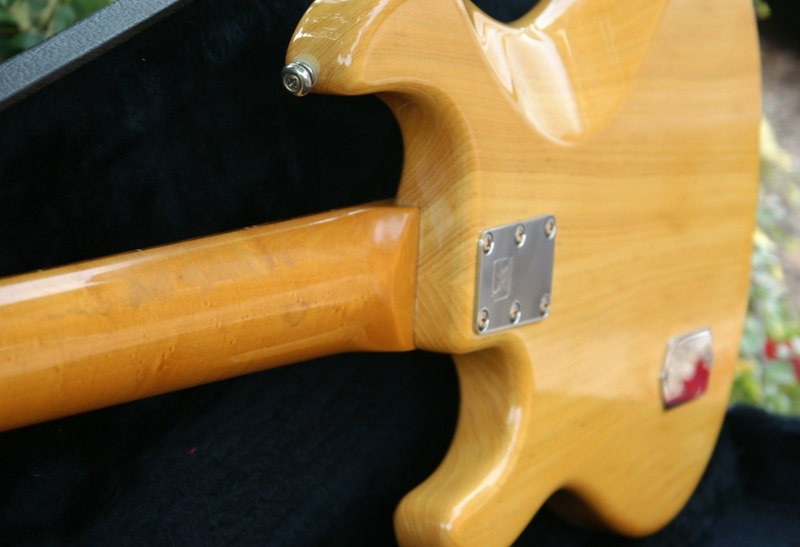 The neck has a lovely figured maple grain. 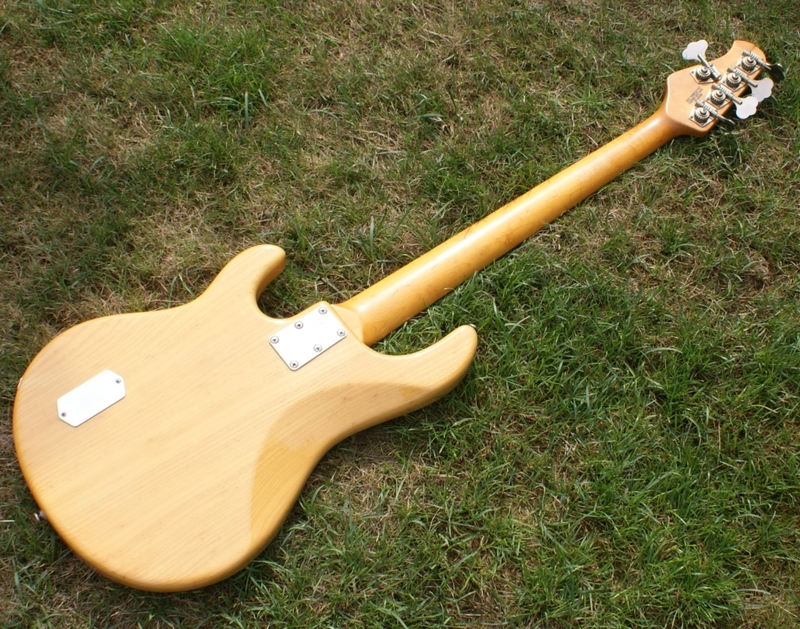 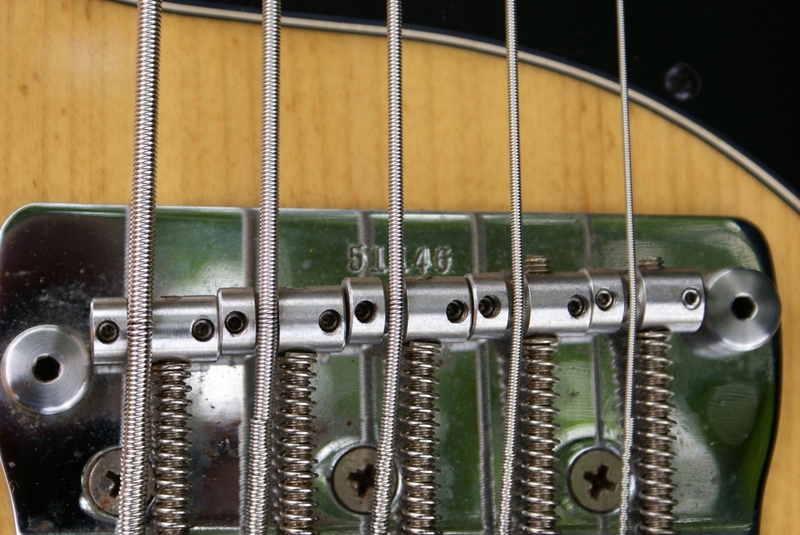 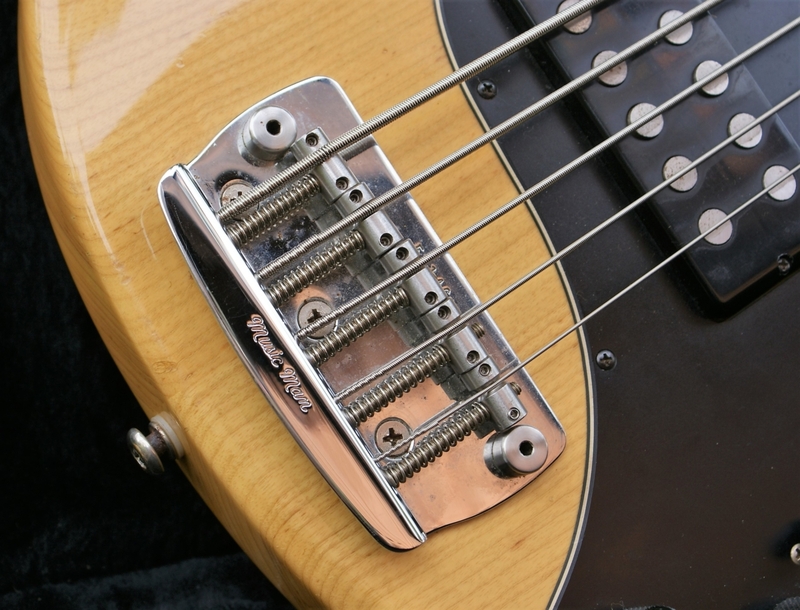 All electrics work as they should and the well balanced ash body makes it a joy to hold & play. 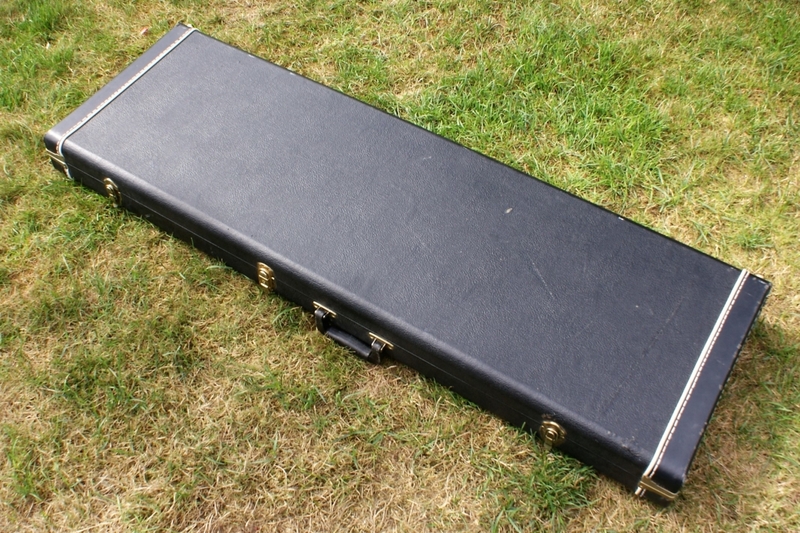 The case is in perfect order also. 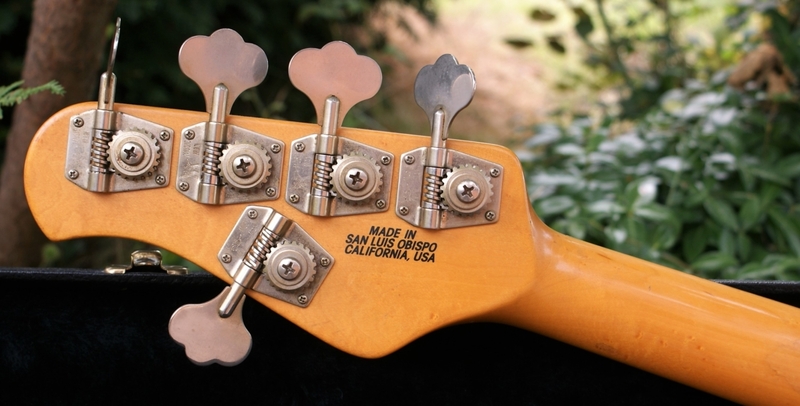 Introduced in 1987, the Sting Ray 5 (SR5) was the first all-new Music Man bass designed and built in San Luis Bopispo by the Ernie Ball team. 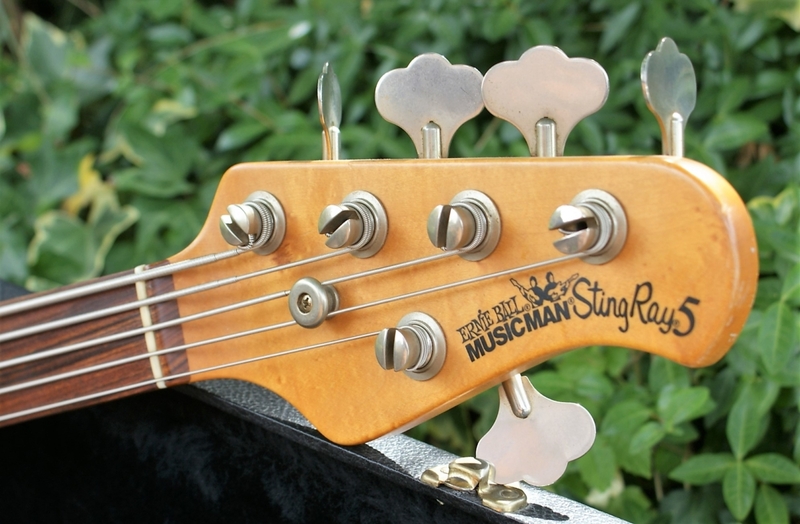 The five string’s styling is based on the classic look of the Silhouette guitar. 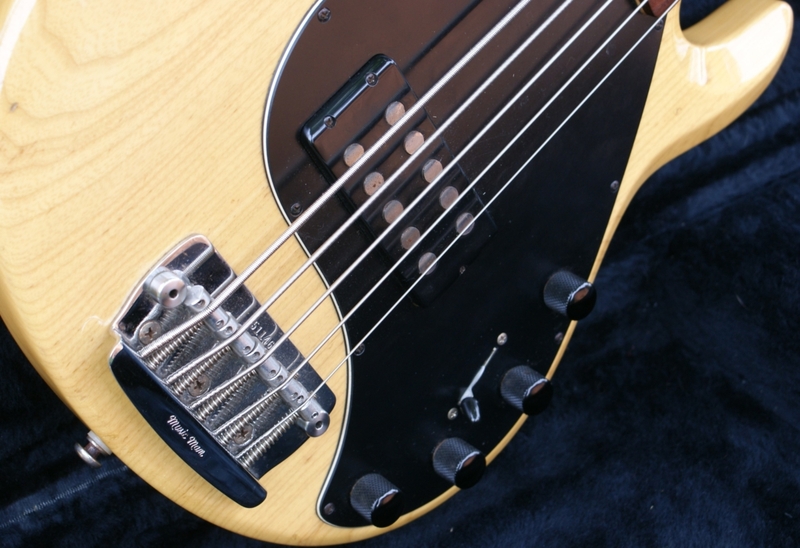 Advanced active electronics combine the best of the four-string Stingray along with innovations from Music Man designers, such as an Alnico humbucking pickup and three-way pickup selector for series, single and parallel combinations. 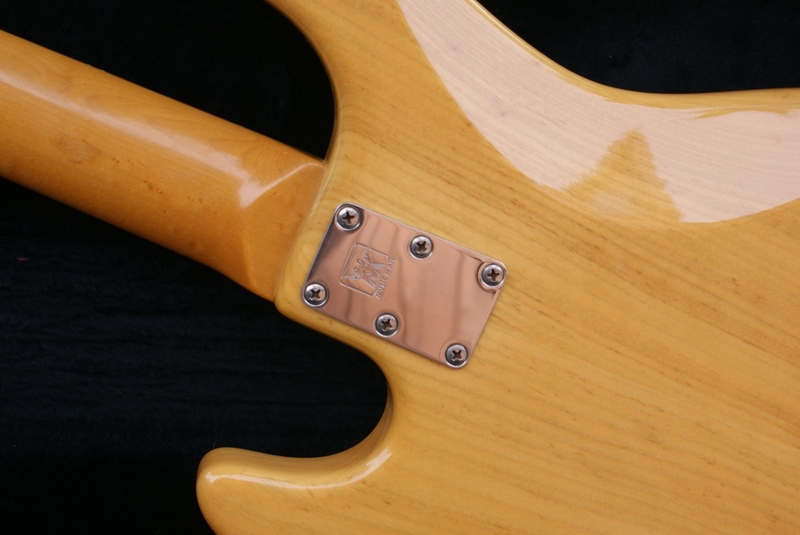 The tuners are placed in a 4+1 configuration and the six-bolt-on maple neck has a beautifully selected Pau Ferro fingerboard.